An old woman sits on her bed and muses over a life filled with loose ends. A young man lies in the arms of his lover dreaming about the 12-year-old girl he left in his past. A child feels hopeless and questions God. Someone thinks about a missed chance, something left unfinished, a time they felt big, a time they felt small, a time they felt lonely, and a moment they understood. Someone is listening to the latest from Minibar, Fly Below the Radar. It's not like listening to an album; it's like speaking to someone who has weathered the storm. Simon Petty's voice aches with a hypnotic quality, carrying the album to great heights (with help from Sid Jordan on bass and vocals). Fly Below the Radar lets the trapped and thoughtful dreamer breathe a sigh of relief. It shatters the bars that hold so many captive in their minds, openly acknowledging the inner paradoxes people create. This British band has come a long way, literally and musically. Their first album, Road Movies, which debuted in 2001, was a big-budget project born prematurely (the album was recorded over a short ten weeks). 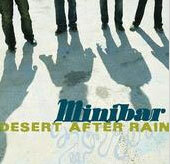 Crossing the Atlantic, and allotting two years time for development, Minibar delivers their latest album, an achievement that is layered in the sentiments that dictate the ordinary and extraordinary moments in people's lives. Listening to each track is like opening a package containing contents completely unknown. Upbeat tempos, slow, breezy beats, and vocal variety diversify the album and make it suitable for a variety of listening moods. "Mill Smoke Black" eases the listener in with breezy cords and keeps them there with words that express the irony of leaving home. "New Mexico" is more upbeat, shuffling along in clouds of dust and distance. The detail present in every track does not go unnoticed, as melodic chords, ethereal harmonies, and evocative lyrics set the album apart. Minibar's latest flies above and beyond the bar that seems to have been lowered of late. Their songs speak of specific moments rather then distracted, overused thoughts. Their music is an emergence of creativity and a revisiting of the small details that reach people and make music great.